In the heart of Siasconset Village (a.k.a. Sconset) is a quaint miniature fishing village that has gone almost unchanged since the early 1700’s. 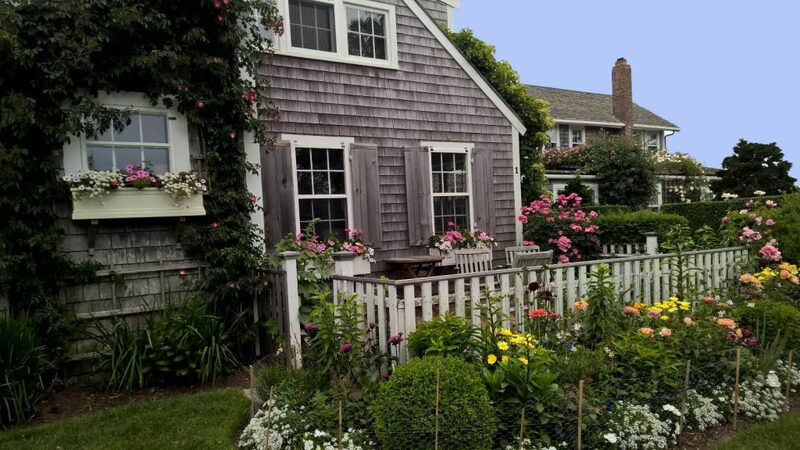 The rose covered cottages are adorn with whimsical quarterboard signs and nautical décor. Some cottages even reflect the year they were built. Can you see how old the cottage below is? Yes – you read correctly – 1886! That’s 129 years old, which is quite amazing since Nantucket has had it’s fair share of storms over the years. 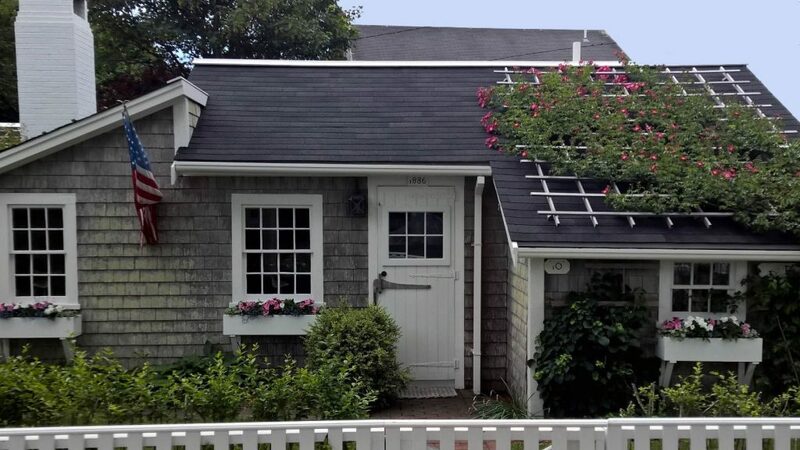 Left over from the days of looking for whale spouts from shore, the Sconset Bluff Walk, is an unadvertised public way that takes you right through the front yards of the island’s finest shingle-style cottages. 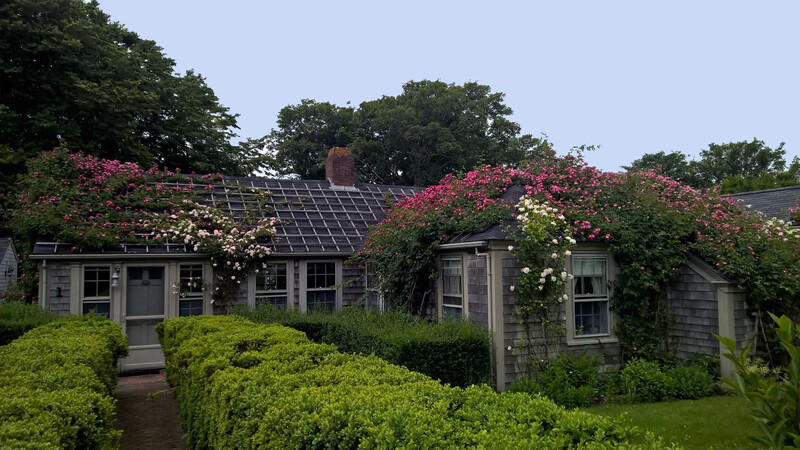 The first time we did the Sconset Bluff Walk – we had a hard time believing that it was a public path and that we were allowed to casually stroll through and enjoy the delightfully charming gardens, rose covered cottages, and nautical bliss. There is something really special about this area and all the whimsical details you find along the way. The path begins at the end of Front Street in Sconset. There is a sign that says FOOTPATH ONLY, NO BIKES, which appears to refer to a very steep and narrow trail heading down to the right to Codfish Park. The path you want to take is the less obvious one to the left, through the privet hedges and along the lip of the land. Residents are accustomed to the parade of strangers, but if you choose to enjoy an afternoon or evening adventure – please respect their privacy. Our residence take great pride in their homes and landscaping and it shows! Do you have a favorite home in ‘Sconset Village? We want to know. Share your favorite Sconset photos by emailing us at info@heartofnantucket.com. 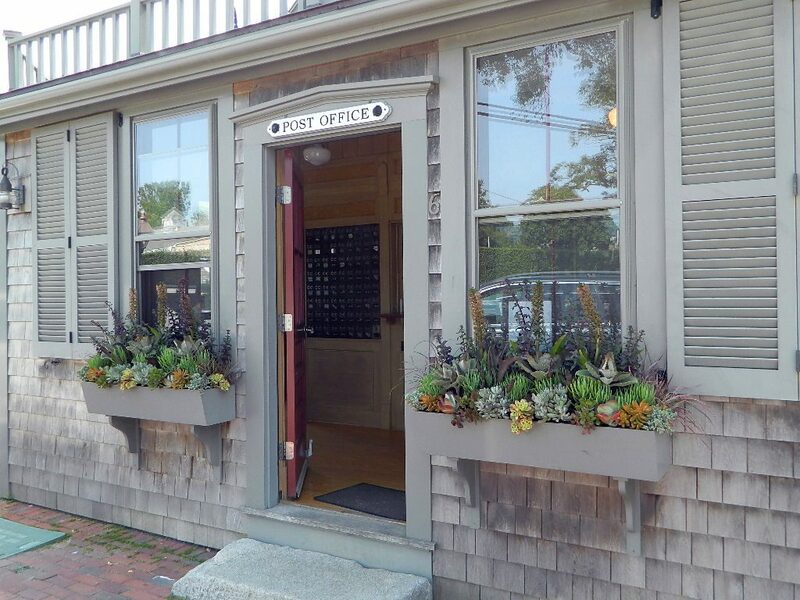 When you enter Siasconset Village you will see the ‘Sconset Post Office right in the center of town. 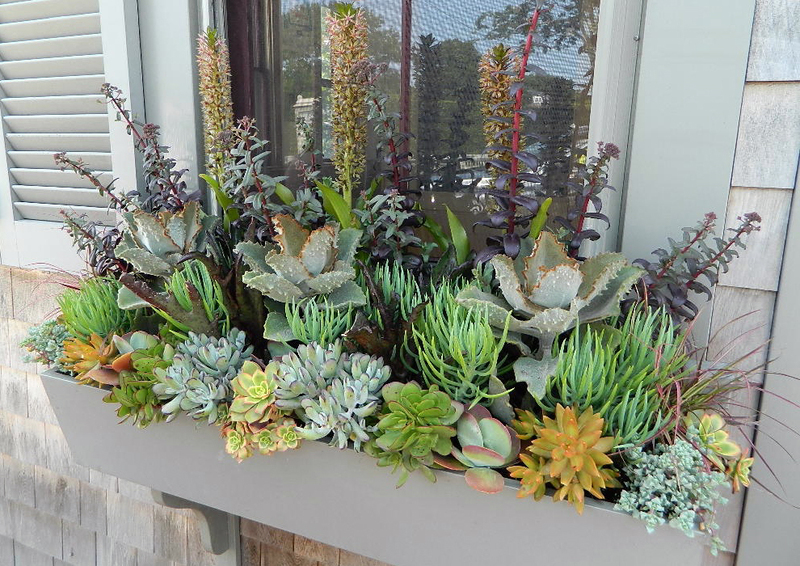 It is the cute little building with gorgeous window boxes filled with a variety of succulents! They were so beautiful that we couldn’t resist snapping a few pictures to share with you. It inspired us to plant our own succulent garden, maybe it will inspire you as well!